Bring out the bubbly because the highly anticipated royal wedding has finally taken place. Hollywood star Meghan Markle is now married to Prince Harry and the blue-blooded royals will now be known as the Duke and Duchess of Sussex. 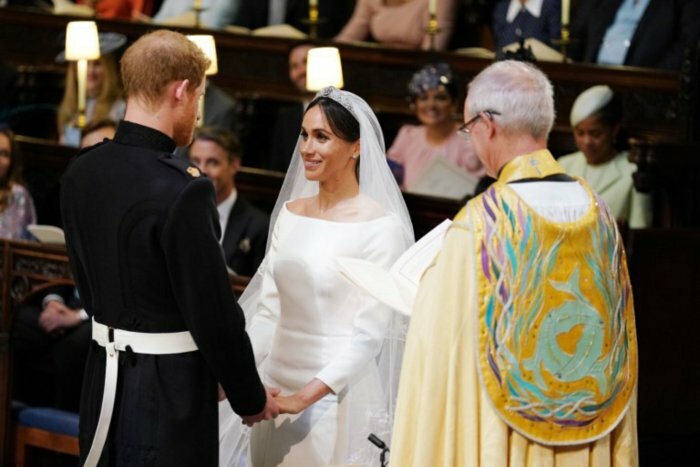 As the celebrity guests poured in and the groom awaited his bride at St. George's Chapel, the crowd continued to cheer for the arrival of the new royal member. And what an arrival it was! As a vintage Rolls Royce pulled up to the Windsor Castle, a stunning Meghan Markle stepped out and left every single one of us speechless. 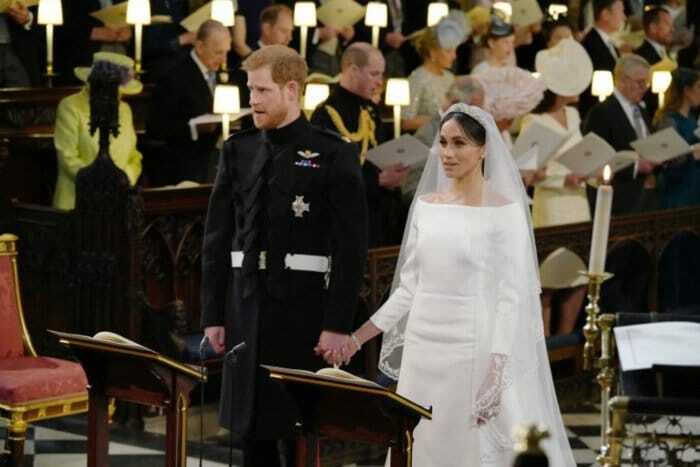 Even with the numerous celebrity guests, a touching sermon, melodious choir and wonderfully decorated chapel with floral touches, we couldn't take our eyes off the new Duchess of Sussex. Putting all those wedding dress rumours to an end, Meghan was a Givenchy bride for her royal wedding. 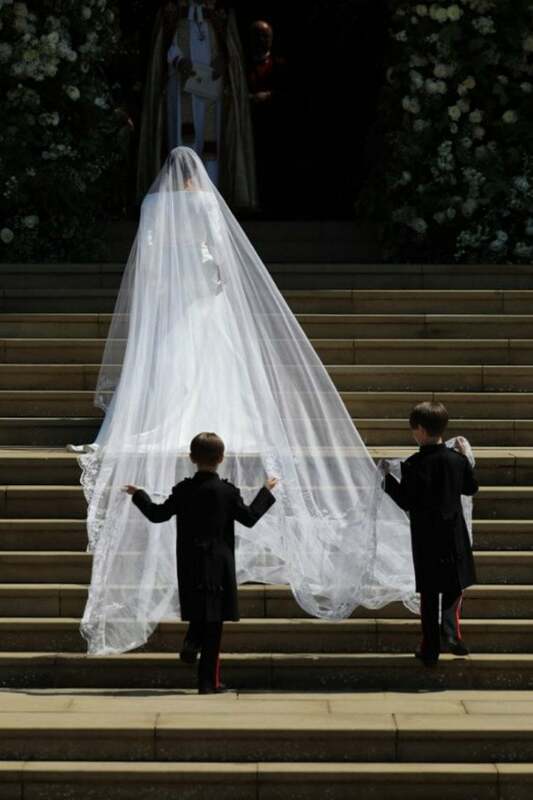 The gorgeous wedding dress was designed by Clare Waight Keller, artistic director for Givenchy. The silk wedding dress was modest yet incredibly elegant. 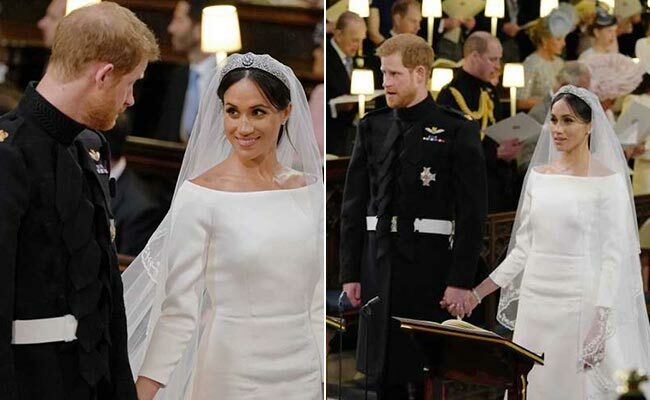 It featured a bateau neckline, which gave a peek of Markle's shoulders, along with a slim silhouette and three fourth sleeves. Her pointed shoes were also from Givenchy, made from silk and satin. The beauty kept her head covered through most of the ceremony with a white veil, which was so wide, it needed its own entourage to hold it. The trim of the silk tulle veil had embroidered flowers in silk and organza which represented the flora of the 53 countries of commonwealth. And that's not all. Topping off the royal wedding dress was her sparkling diamond tiara, which caught many an eye. 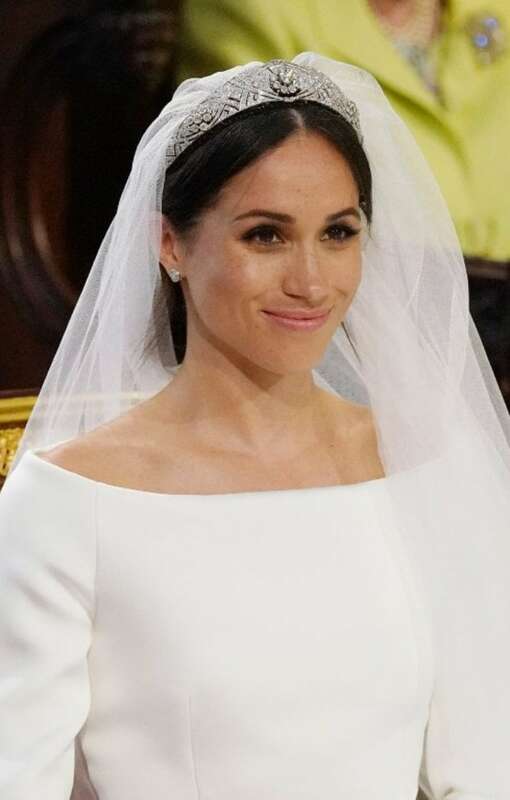 It was the Queen Mary diamond bandeau tiara, which was made in 1932 and lent to Meghan by the Queen. Truly, an ensemble steeped in tradition and royalty. A closer look at the new Duchess will show that she chose to keep her makeup look understated with natural skin, pink lips and soft eye makeup. Many may associate a royal wedding look with extravagance but not for the Meghan. From the silhouette of her wedding dress to the symbolism of her veil detailing to her groomed, natural makeup, this bride kept her look polished and elegant. What a perfect choice for her majestic start on her royal journey ahead.